My name is John and I would like to tell you a true tale of what happened to me one September evening in 1990. I was leaving my girlfriend’s house because she had to go to work the next day. There was still light out, but the sunset was coming. I decided to walk to my friend’s house which was about ten minutes away and I thought to save a couple of minutes walking, I would take a shortcut along two sets of railroad tracks. 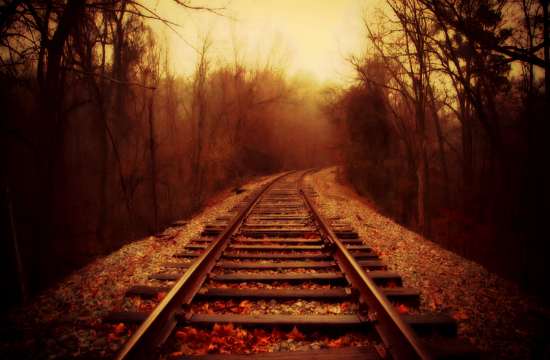 As I am walking along the tracks, I could see from a distance that someone was coming up from the embankment of the tracks and started walking on the railroad tracks towards me. I thought this was odd, because I could see that this individual was wearing one of those old bulky green parka’s with the hood up over his head. As he is getting closer, I could see his features more clearer. Something was not right. As he walked right by me, his whole upper body turned towards me and what I saw was some type of an alien. It just looked at me as it was walking by. This freaked me out. Two seconds later, I turned around to see where this thing was going. It was gone. Nowhere in sight. At that moment I looked up and saw a UFO hovering for a good ten seconds about 1000 feet up. Then the UFO sped off northeast. This incident really shook me up. Something quite out of the ordinary occurred in the skies over Oregon on October 25th, 2017. A mystery aircraft was flying in daylight hours among the steady stream of airliners that traverse from south to north, between locales in California and Nevada and cities like Portland and Seattle and beyond. The incident began, at least as best we can tell, around 4:30pm near the California-Oregon border and resulted in multiple pilot eyewitnesses, recorded air traffic control audio, and eventual confirmations from both the FAA and North American Aerospace Command (NORAD) that it did indeed occur. REVISED DATES! FREE KINDLE BOOK - 2 DAYS ONLY! 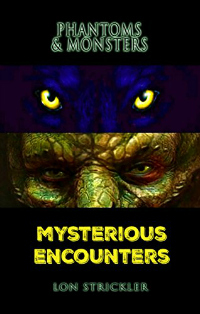 Thursday November 16th - Saturday November 17th...go to the link provided and download 'Phantoms & Monsters: Mysterious Encounters' for FREE! 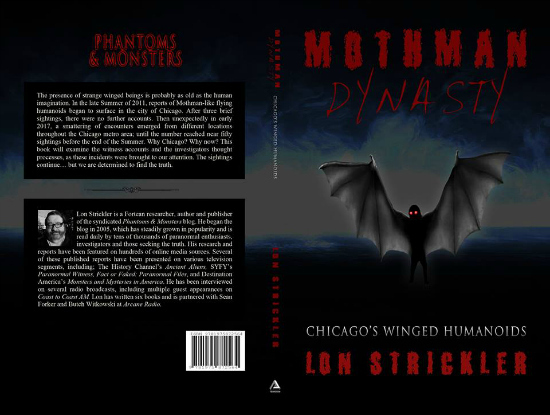 This is a small 'thank you' before the release of 'Mothman Dynasty: Chicago's Winged Humanoids' Thanks & enjoy! The Hair-Braiding Bigfoot and More!